Big cities are great, but they come at a cost. Living in New York or DC is awesome, but with the high cost of living, they can be undesirable (and unaffordable) for many people. Luckily, there are many cities in the US that are not only affordable to live, but are a great place to live. Each year, Livability.com ranks some of the best affordable places to live. 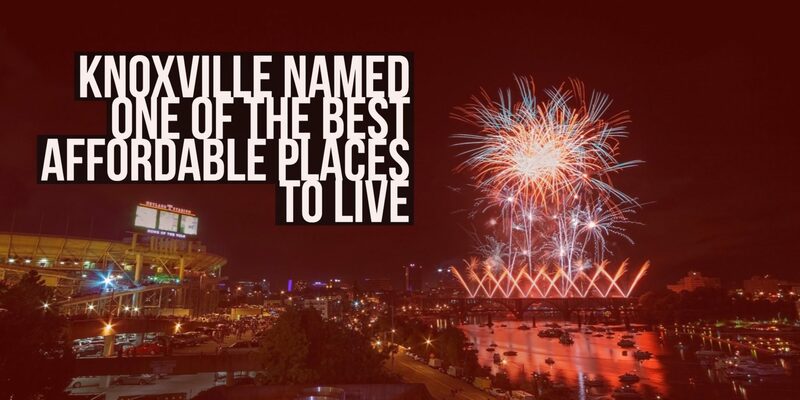 This year, Knoxville appeared on the 2018 list of the best affordable places to live. Knoxville ranked #8 overall on the list of cities. It received nods for its affordability due to no state income tax (though there is a higher sales tax to compensate) and affordable housing prices, which tend to be $70,000 than the median home prices throughout the country. Knoxville was also ranked highly because of its strong schools. Knoxville is home to the University of Tennessee. Knoxville is also home to strong public schools. In addition, access to great hospitals is another perk of living in Knoxville. Knox County ranks in the top 9% of health outcomes and behaviors in Tennessee. Knoxville has no shortage of activities, too. Knoxville is home to many sports teams including the Tennessee Vols, as well as the Knoxville Ice Bears and Tennessee Smokies Baseball. Knoxville is also close to the Great Smokey Mountains, which provides no shortage of fun activities for outdoor enthusiasts. Knoxville also has a great downtown. Knoxville was also named one of America’s Favorite Cities earlier this year by Travel + Leisure. In 2015, Knoxville was named one of the Best College Sports Towns, ranking #2 on the national list. In 2015, Knoxville named one of the Best Cities To Relocate To By The Huffington Post.